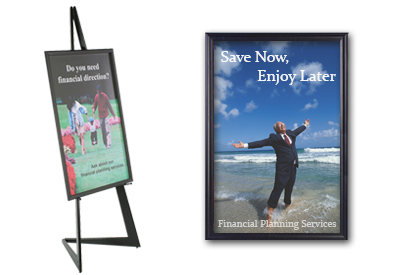 Commercial-Grade Poster Display Frames for Movie, Art & Advertising Graphics! Do you need a stylish yet functional way to display a large sign, graphic or picture? Our ready made poster frames for sale are designed to showcase movie posters, notices, displays and informational postings in any environment! A few of the more common uses for these graphic holders are exhibiting art in the form of prints, presenting larger playbills for theaters, and modeling head shots for upscale salons. AllPosterFrames.com has the ability to supply poster frames for very low, even wholesale, price points so that customers are able to buy the sizes and displays that they need, regardless of how they will be used. In addition, many of the picture holders are available with fast, 24-hour shipping! Over one thousand print holders make up the inventory on this site, of which there are hundreds of styles from which to choose. 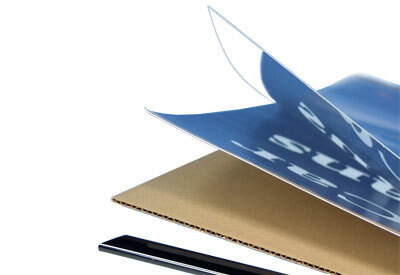 Each sign display is specially hand packed to prevent damage during shipment, as well. These wholesale frames for posters are available as quick clip frame styles, notice hangers, picture holders, easels, sign stands, and more! Ready made picture frame solutions provide all kinds of advertising and promotional applications. Our huge selection of commercial grade display framing options for sale at wholesaler pricing is organized by style to make it easy to quickly find enclosures that perfectly match any needs. What style of poster display frames do we offer? Cheap Plastic, Acrylic, & Aluminum Poster Frames: Economy plastic and acrylic poster holders are often found in retail settings where they are an affordable way to advertise merchandise and sales. Professional and commercial businesses use economical bulk graphics framing to hold movie posters as well as marketing or advertising notices. Offices are yet another common location to set up readymade displays because they are easily employed to highlight services or resources as well as for decoration. Cheap print holders make changing postings simple. Most have plastic extrusions that "slide" together and include a lens cover to protect the notice or graphic. Swing Open and Quick Clip Styles: These selections are highly sought after because their user-friendliness. Swing open models do just that, swing open. Additionally, many feature locks to prevent tampering when installed in high volume businesses. 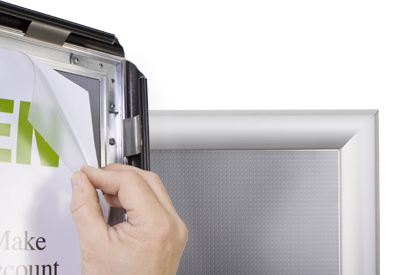 Quick clip frames are equipped with spring-loaded edges that make it very easy to rapidly switch postings. As a result, they are some of the most commonly applied fixtures throughout companies and organizations. Both styles are offered in wall mount, floor standing, outdoor, and even ceiling hung configurations. When set up outside, locks are critical. 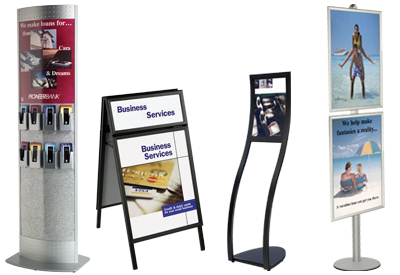 Poster Stands: These ready made standalone models come in both economy and designer styles. Although many of these units are used to show movie posters or art, they are also used on retail floors and at trade shows or conventions. In fact the wide selection lets any presenter or exhibitor stand out at a trade show or conference. Looking for a lobby fixture? Consider adding a picture display to increase customer awareness! Every model makes drawing attention easy! The economy style is budget friendly, while the designer models are ideal for customers that require customized displays. 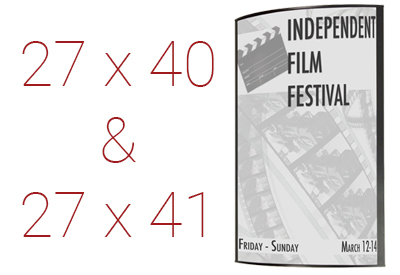 Movie Posters: Typically, frames for movie bill postings are considered to be 27" x 40" OR 27" x 41". Several of these have snap-open layouts. An array of options is available, so everyone from a hobbyist to a multiplex owner can find a readymade sign solution. Many users create custom displays in their homes, while others set them up in museums and other educational facilities. Like all the other choices, the movie displays are designed to draw attention and promote the prints inside. Because they are so successful at what they do, these fixtures can be found in video stores and theaters across the country! Outdoor Models: These offerings are essential for communicating to customers and prospects outside businesses. Notice displays, placard fixtures, and other postings inform passersby of upcoming specials, events, instructions, directions, sales, and more! Some of the most popular styles are the outdoor sidewalk sign holders. When placed on the curbside, these catch attention and bring in new customers. Easels: Easels are popular among art supply stores, art galleries, and art collectors. They are also set up in retail establishments. In fact, businesses located inside malls often use easels to highlight postings in the entrance way. Art stores and art galleries use them to show off pieces of artwork and paintings. Easels boast quick change capabilities and many are adjustable. These picture stands are also great because the adjustable designs fit multiple sizes of art, prints, and/or placard displays. Hanging Systems: Often overlooked, hanging picture displays are perfect for retail stores because they help save wall and floor space. These ready made models hang postings from the ceiling. 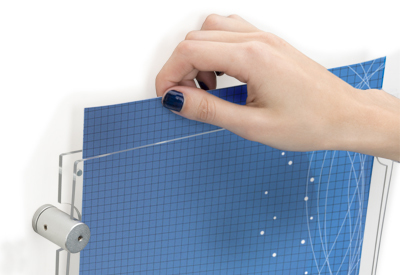 Readymade styles include banner rail kits, hangers with jack chain kits, and fixtures with nylon hanging line. They are easy to install as a result of the all-inclusive package. For most, the print inserts simply slide in and out of the rails, so users do not have to remove the entire assembly when performing updates. Several sizes are offered to fit a multitude of postings, signs, notices, and more. Lightboxes: Illuminated lightboxes, or light boxes, have panels that light up. Lit displays make otherwise dull print presentations much more attractive. The simple fact that the fixtures illuminate helps placard displays stand out. These holders for pictures come in both wall mounting and floor standing styles. The bulbs used to light them are designed to last. 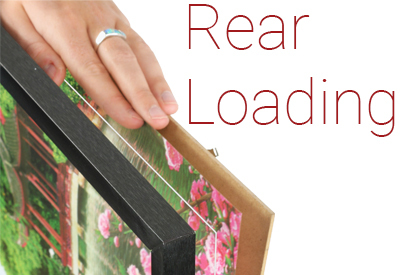 Locations that have little natural or built-in lighting are perfect for readymade lightboxes. For this reason, bars, clubs, and theaters often take advantage of their brilliant illumination! Why purchase framing from this website? A massive selection makes shopping convenient for customers. Each category includes multiple options and accessories, so buyers only have to visit one site for all their needs. The collection of items is large but it is also diverse. There are tons of unique choices. Businesses, organizations, and other establishments can entirely outfit their locations. Wholesale pricing is possibly the premier feature of this E-store. As one of the country's largest display outlets, AllPosterFrames offers low costs that cannot be matched. Another excellent quality of the company is fast shipping. Most items are stocked in one of our three on-site warehouses, which allows for some of the shortest lead times around. 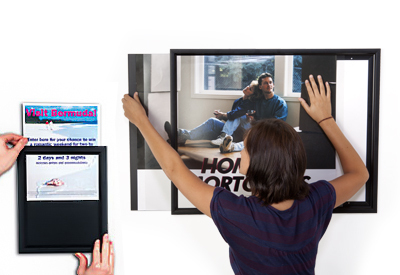 Quick clip frames, ready made poster fixtures, and frames for movie posters or notice displays can be used for so many applications, like protecting a movie bill, displaying print art, showing off artwork, and much more. The uses are unlimited for every one of the units! Readymade framing is also found in homes and professional businesses. Shop with the #1 manufacturer, supplier, and distributor of sign holding displays. Order in bulk for additional wholesale savings. Be sure to check out the best selling options to see what well-liked items are approved by other customers. Have questions about these advertising displays? Contact our customer service team for answers via email, phone, or live chat. Browse or search the largest in-stock graphics framing inventory online today, and order before 3PM EST for fast 24hr shipping on in-stock merchandise. Check back often as our selection is always growing! See our site directory for a description of all of our different product lines.